Laurie Cavosi | Sari Kingsley Real Estate, LTD.
For the past 19 years, Laurie Cavosi has been a successful real estate agent, who is committed to providing her clients with quality service. After receiving a degree in music, Laurie decided the corporate world was where she wanted to be and joined the Chase Manhattan Bank in 1983. She spent 14 years in consumer marketing. Utilizing her business background, Laurie extends her marketing, advertising and public relations experience to her buyers and sellers. After working for several of the larger sales offices, a small boutique agency seemed a better fit. So in 2007, Laurie proudly joined Team Kingsley. 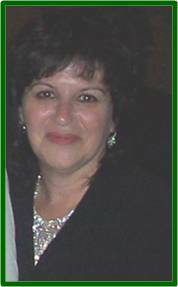 She is a member of the Staten Island Board of Realtors, New York State Association of Realtors and the National Association of Realtors. Originally from Brooklyn, Laurie moved to Staten Island 22 years ago and resides here with her husband Drew and her son EJ.